Trusted Data Solutions (TDS), a global leader in data management services, announces its successful acquisition of Data Conversion Resource (DCR), a leader in legacy data conversion services since 1997. DCR owner John Svee and his technical team have joined TDS’s Global Solutions Group, where they will help drive the development of the next generation of media recovery and restoration technologies. Based in Denver, Colorado, DCR provides corporations and government agencies sophisticated services to recover and convert data from high-value legacy data assets. Clients include NASA, the United States Army, General Electric and Lockheed Martin Aerospace. 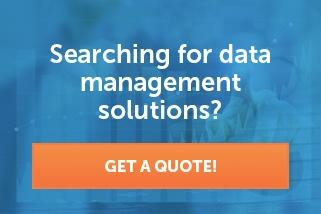 "John and his team have a long storied history in the data restoration and conversion community. We are delighted they have joined the TDS family of companies. Our intention is to merge DCR’s technical capabilities and pedigree with a series of new solutions TDS is bringing to market in 2016," said Chris Clark, President and CEO of TDS Global Holdings. Learn more about TDS's tape restoration capabilities!